If you like paintball, you’re probably familiar with the most basic type of game: elimination. Two teams of about seven players each will try to tag members of the opposite team with paintballs. As you eliminate players from the opposing team, you suddenly have a great advantage; it’s hard to lose at the end of a game when it’s seven against one! Elimination is just one of the many variations of paintball out there. When you think about professional sports, that actually makes it unique. Every basketball, soccer, and football game are all played according to the same hundreds-of-pages-long rulebook. 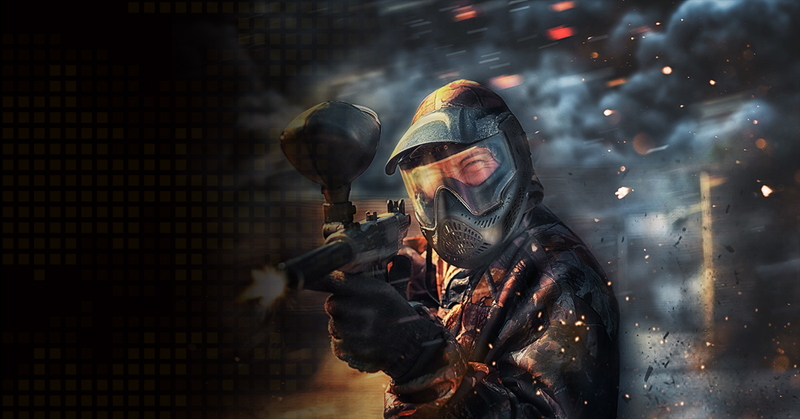 But when you play paintball there are variations you might be interested to know about. Adding a flag really changes the game; the goal changes from “eliminate the other team” to “grab something the other team has.” Each team is still trying to knock out the opponent’s players, but complete elimination isn’t necessary as long as the opposing flag is grabbed and taken back to base. Paintball is a sport, but there’s no doubt that it has its roots in warfare. Over the centuries there have been instances where two armies meet on a field and fight (like elimination paintball). But more often than not warfare was (and is) about one army attacking a defended spot. That’s where paintball variations like base defense come in, where one team attacks while the other has a fortified position. There is a lot of covering fire in traditional paintball. You want to keep the enemy’s head down so that they don’t see where your team is moving, giving you a tactical advantage. And if you hit one of your opponents in the process, all the better! There’s not quite so much covering fire when ammunition limits are in place, because you have to be that much more selective on how many times you pull the trigger. The good thing is that the opposing team is under the same limits. These are some of the most popular types of paintball, but variations on paintball can truly be endless. What’s your favorite? Let us know!